The cryptocurrency industry hasn’t reached maturity yet. However, it is growing rapidly. In recent months as reported by smartereum.com, business has been booming for cryptocurrency lenders. Still, there are still some who are afraid to request for cryptocurrency loans or get involved in the cryptocurrency space because of the risks attached and the need for third-party crypto insurance firms. SALT Lending solves this problem. This move makes SLAT Lending the first cryptocurrencies lending platform to offer direct crypto insurance to clients. On Wednesday, SALT Lending announced that it has started offering 100% insurance coverage to its clients. The crypto insurance by the company is offered under two plans; Cyber Liability and Crime Liability. Keep in mind that SALT Lending isn’t the only cryptocurrency lending firm that offers insurance to its customers. Other firms like BlockFi and Naxo offer insurance to their clients. However, these lenders offer third-party insurance and not direct cryptocurrency insurance like SALT Lending. The third party insurance service provider for both firms is Bitgo. This gives SALT an edge over its competitors. What Makes SALT Lending Different From Others? While Bitgo offers clients only $100 million in coverage, SALT Lending offers 100% insurance coverage for digital assets. So, even if the amount to be covered is above $100 million, SALT will provide full coverage. Naxo offers cryptocurrency custody powered by BitGo. A while ago, when the company announced that it is now offering custody services, it stated that it is the first lender to offer custody for customers. However, SALT started offering custodial services for cryptocurrencies in February while Kingdom Trust, Gemini, and other lenders started offering this type of coverage long ago. The key difference between SALT and other insurance providers is that SALT Lender offers full insurance through Crime and Cyber Liability coverage. This is unlike other lenders that offer only Crime Liability. Combining both forms of coverage is important because Crime Liability may not cover losses that may occur due to cybersecurity breaches. Having only a single person in control of funds is a risk that no lender or exchange should take. This is why SALT is protected with multi-signature wallet access. All the signers must agree before a transaction can be authorized. Another risk attached to a third-party custodial insurance service is that one person can claim the entire policy leaving every other client without any coverage. How so? Since the coverage is not per client but for the pull of clients and is based on all the assets on the platform, a single client may suffer a loss and apply for claims that are equivalent to the maximum amount. When the person gets the compensation, no one else can lay a claim in the event of losses until the duration expires and the policy is renewed. This is what makes SLAT’s direct crypto insurance unique. They hold the assets and provide coverage without third-party agencies. The coverage is for individual clients rather than the pool of client and the coverage has no limit; it is 100% direct crypto insurance. SLAT also gives its clients the chance to increase their coverage as it expands. Most times, with third-party policy providers, trust cannot be guaranteed. There have been many instances of theft in the industry. This is one reason why obtaining cryptocurrency insurance is difficult from traditional insurance providers. Insurers need to be absolutely sure that the company managing the assets is trustworthy and doing everything necessary to protect the funds of its clients. SLAT Lending has been doing due diligence and working with professionals to prove to their insurers that they are regulatory compliant and put customers first. Their storage and security practices are above industry standard. The fact that SLAT Lending now offers direct crypto insurance is going to increase the adoption of cryptocurrencies and the interest insurers have in cryptocurrencies companies. This will build greater trust within the space. The 100% coverage offered by SALT is divided into two policies; Cyber Liability and Crime Liability Insurance policies. Cyber Liability allows SALT to protect its client if hacks or cyber threats from third-party sources lead to losses. While this is the case, SLAT doesn’t provide direct coverage for digital assets in this policy. Rather, the policy protects the information and technology that the client uses to interact with SLAT. The Crime Insurance policy, on the other hand, is for the digital assets that are in the cold storage in case of losses that occur due to fraud or theft. Theft, in this case, includes employee theft, or employee damage that may occur during transit. Fraud is classified into two groups. One has to do with the manipulation of data, routines or programs while the other has to do with unauthorized fund transfer. The policies being offered by SALT protect clients from all types of cyber attacks, fraud or theft. The power to offer direct crypto insurance was given to SALT by Aon after a rigorous evaluation of their systems and security services. They take responsibility for the funds in our possession and do not look for eternal reviews. This is one reason why Aon allowed SLAT to offer insurance written by industry-leading syndicates. So, SLAT has full control over the insurance policies while it’s clients are beneficiaries of the coverage as long as their assets are with SLAT. The policy covers individual clients and not a pool of clients. SLAT maintains full control of the cryptocurrency assets in wallets from the time of entry to the time of exit. So, offering 100% direct crypto insurance guarantees a potentially risk-free system for clients. The firm combines cryptocurrency-specific insurance coverage with exceptional safekeeping methods to protects its clients in ways that no other lender has been able to boast of since the inception of cryptocurrencies. SLAT offers its clients a certificate of insurance on demand. Cyber Liability insurance or Crime Liability insurance policies alone don’t provide the required 100% coverage the clients need. However, many platforms don’t fully explain this point to clients. A Cyber Liability cryptocurrency insurance policy protects the holder but doesn’t directly protect the assets except it is combined with a Crime Liability insurance policy. A clear framework should become standard practice to ensure that certain norms are followed for the safety of the average cryptocurrency holders and institutional investors. 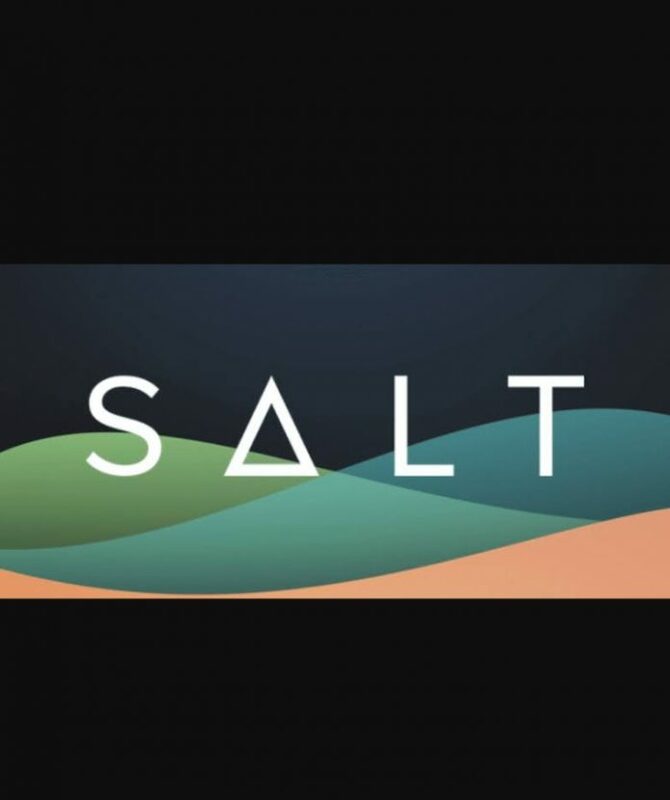 SALT Lenders has taken a step in the right direction to cement the provision of direct insurance for digital assets without third-party companies. The company’s website www.SaltLending.com can be visited for more information.